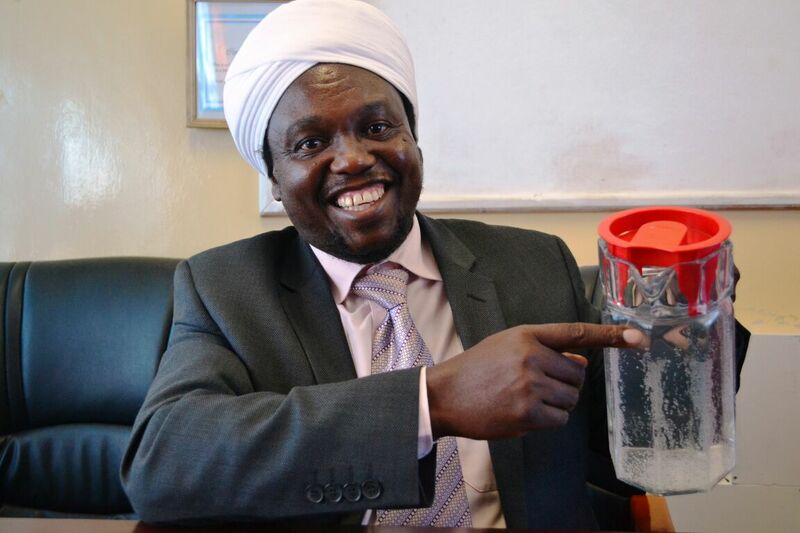 Home MTAANI NEWS THIWASCO MD explains reasons for the occasional water outages in some parts of Thika. THIWASCO MD explains reasons for the occasional water outages in some parts of Thika. THIWASCO Managing Director Eng. Moses Kinya. Thika Water and Sewerage Company (THIWASCO) Managing Director Eng. Moses Kinya has attributed the occasional water outages in the town to various road contractors and fibre optic connections whose workers have been accidentally smashing through their main water pipes leaving thousands of their clients without water. While responding to queries over numerous complaints by residents over their services, the MD defended the company's response to frequent water outages saying that their engineers have been working overnight to repair the burst pipes each time they got notified of breakages. “Of late, we have been having so many challenges in regards to the supply of water to our customers as a result of the frequent damaging of our main water pipelines by both road contractors and companies that are connecting homes with fibre optic cables. Kinya reckoned that the most affected area were Makongeni, Landless and Gatuanyaga due to the current expansion works being undertaken by Kenya National Highways Authority (KeNHA) along Thika–Garissa Highway. He regretted inconveniences caused to the residents and assured consumers in the affected areas that every effort was being made to ensure supply was restored whenever these damages occurred. “These outages might continue for sometimes because in some instances, we will be forced to relocate our pipes in sections where they fall under the expanded roads. However, we have agreed with the contractor to assign an employee from THIWASCO who will be assisting them in locating the pipeline so as to minimise cases of pipes being damaged,” he explained. The MD also promised to schedule meetings with companies that are currently installing optic fibre cable in a bid to come up with a working formula that will ensure minimum interference with water supply across the sub-county. When asked when residents should expected normal water supply to resume, Kinya said that whenever a main pipe was broken, those living near the affected area might start receiving water almost immediately after it is repaired. However, it might take some time for those living in the lowlands to resume normal supply due to the time taken to fill all the pipe networks with water. “When the pipes are empty at any given time, it might take a little longer for those in lowlands to access this water once we open the system. This because water must first get in to the empty pipes and have enough pressure to circulate the whole network,” he explained.